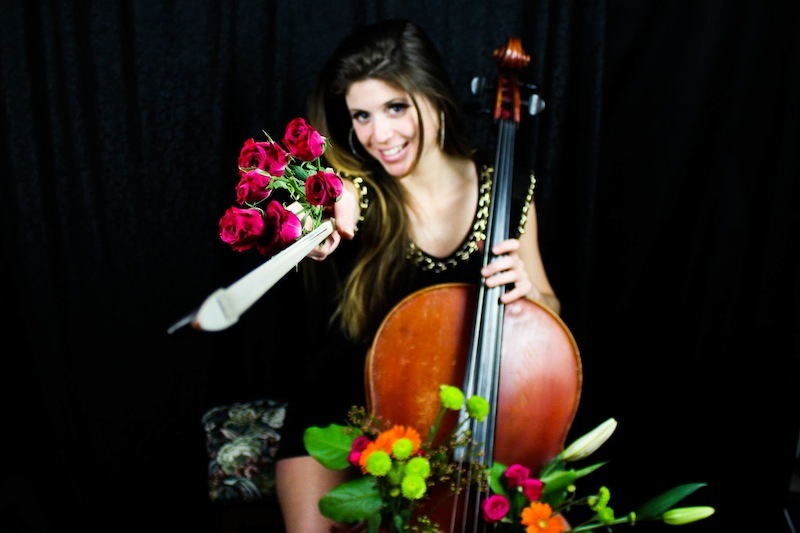 Triana is an award-winning cellist whose passion for music is unsurpassed! Her crowd pleasing repertoire includes classical favorites, romantic lullabies, Spanish dances & modern arrangements. Rates for solo cello are $190 per hour & include individualized music selection and extensive planning with your event coordinator or wedding planner. Have you ever dreamed of walking down the aisle to your favorite love song? 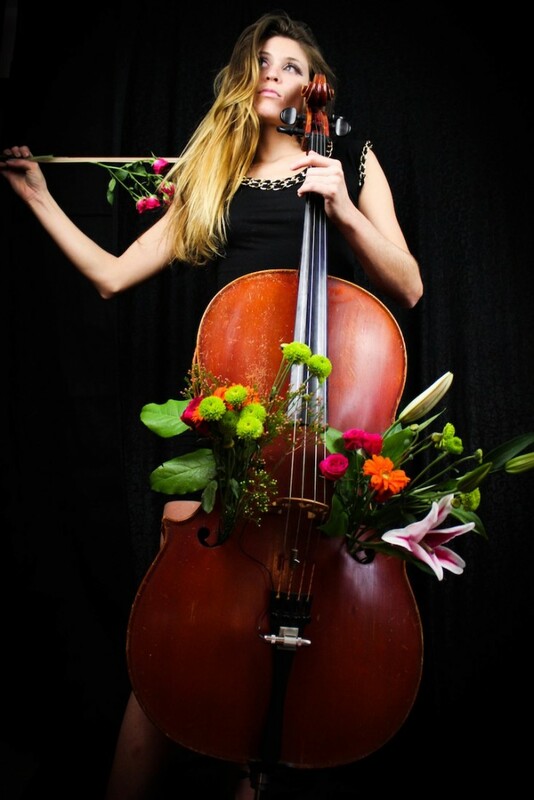 Triana is available for special requests and customized cello covers! With over 20+ years of experience performing, teaching & recording on the cello, Triana will make your wedding or special event one to remember. We hired Triana for my sister's wedding and she was perfect. We had some initial questions about the style of music she could play and was very responsive to our questions and worked with us to make sure we were able to realize the musical vision for the ceremony. Her elegant performance added a wonderful touch to our event. I highly recommend her! Beautiful Music for my bride! My bride to be and I hired Triana for our wedding after a friend told me about her website. The music was great so we called and asked her if she could make the date. She was available, showed up early and played the pieces we picked. Everyone liked it as it provided another layer of emotion to an already surreal day. We hired Triana to play the cello at our wedding and she was absolutely wonderful as a performer, as well as working with us to make sure we had the perfect day. She is clearly a very talented musician as many of our guests were impressed with her playing. She was also very easy to work with - fast and responsive to all of our requests. Triana also helped us pick out music which really made the day seem magical. Thank you so much for taking the time you consider me for your special event. I am a very professional person to work with and am extremely timely with questions via email or phone. I will do everything to make sure that your special day goes perfectly! After we confirm the date and time, I will ask if you have any special musical requests. I have a huge selection of music and am a pro at finding just the right piece to set the mood. You can make a request, suggest certain styles, or just leave the work up to me! I always make sure to send a confirmation email the day before the event. After we confirm the date and time of your wedding, I will send you a list of songs to choose from for the processional, recessional and any other special moments you may have. I have all of the classic weddings songs in my repertoire and many more for you to choose from. I often play for the prelude while guests are getting seated so that they have something enjoyable to listen to while they are waiting for the bride and groom. I pick songs from my vast collection of music that suit the mood of the crowd but you are welcome to send me requests. For large wedding parties (typically more than 5 couples), you can pick out a special song for them and a separate one for the bride to walk down the aisle to. If you have a small bridal party, one song is usually appropriate. Slow songs are great as they remind the bride to walk very elegantly so that everyone can bask in her beauty! Recessional songs are played right as the officiant introduces the new happy couple to the audience. There is always a lot of clapping and it is wonderful to have a joyous, moving song to walk back down the aisle to and into your new life together! Classical music is a great choice for a relaxed and classy reception or cocktail hour. It’s a nice sequeway while people are relaxing before the DJ takes over to start a festive night of dancing. Have a favorite rock, pop, soul, R&B, piano song (etc.!) that you would just love to walk down the aisle to? I can make a custom cello arrangement for you and either play solo or with the recording for your big day. I can take most special requests with at least 30 days notice and a $200 fee that covers my time to compose, learn and record your favorite song. I will make a recording of the piece and send it to you before your big day so that you can listen and enjoy it. Some artists I have covered for the processional and recessional are Pearl Jam, Katy Perry, Yiruma, Lana del Rey and the Pixies to name a few. Contact me today and we’ll make it happen! An award-winning cellist based in Southern California, Triana’s passion for music is unsurpassed. Her crowd pleasing repertoire includes classical favorites, romantic lullabies, Spanish dances and modern arrangements. With over 20+ years of experience performing, teaching and recording on the cello, Triana will make your special event, wedding, or gathering one to remember! I have a very simple setup and only request that you place a regular sized chair without arms where you would like me to be seated. I usually play acoustic unless you request otherwise. The cello is a very loud instrument and has a beautiful natural sound that is dark and rich. It carries well outside and sounds absolutely gorgeous in acoustically tailored buildings like churches and synagogues.